The Stags take an early lead, then survive a second-half flurry from the Hawks. 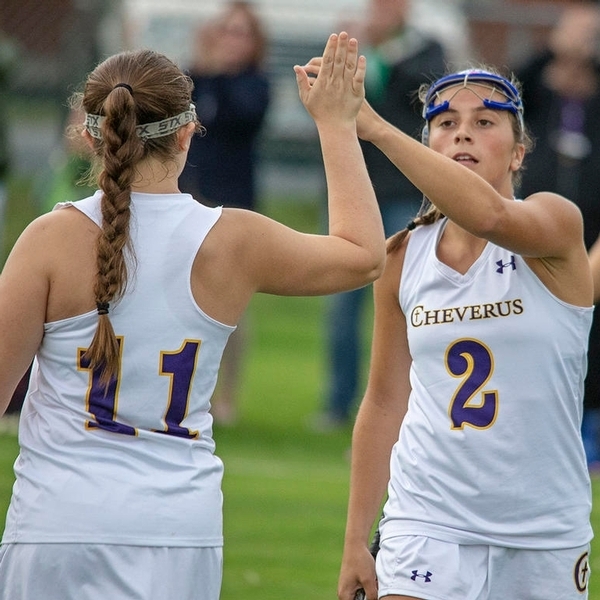 PORTLAND—The first half of the 2018 season has been one of fits and starts for Cheverus’ field hockey team, but after some frustrating results, the Stags appear to be hitting their stride at the optimal time. 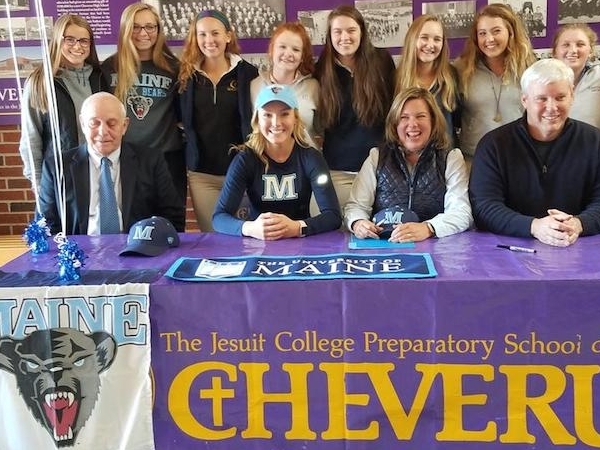 Cheverus senior Hannah Abbott, joined by her parents, Amy and Steve, her teammates and her grandfather, Walter Abbott, signs her National Letter of Intent Tuesday morning to attend and play field hockey at the University of Maine next school year. Abbott, Cheverus’ 2016 Fall Female Athlete of the Year, who played for the Stags varsity team since her freshman year, had many schools interested in her services, but not surprisingly, she gravitated to the Black Bears, where her father served as an athletic director and her grandfather was a longtime football coach.